This is the first Prismacolor drawing I ever did; I haven't used anything but Prismacolors since then! Sachem Skippers are either butterflies, or closely related to butterflies (the scientific jury is still out). This is based on a photo I took; I traced the most complicated outlines and then did the rest by hand. 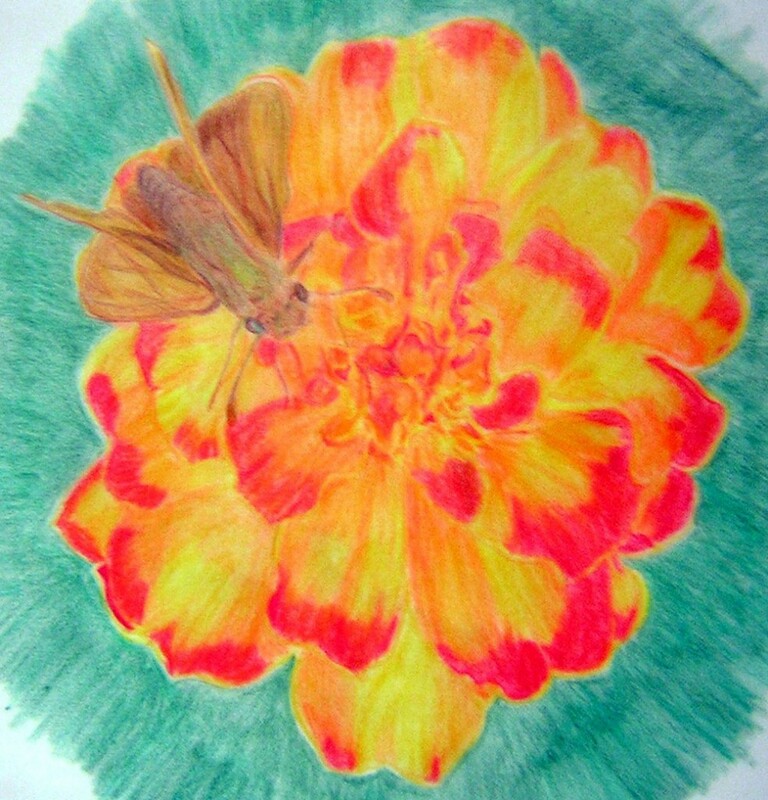 This entry was posted in Butterflies and Moths, Drawings, Insects and tagged brown, butterfly, colored pencil, flower, green, marigold, orange, pencil, Prismacolor, Prismacolor pencil, Sachem Skipper, skipper, yellow. Bookmark the permalink.